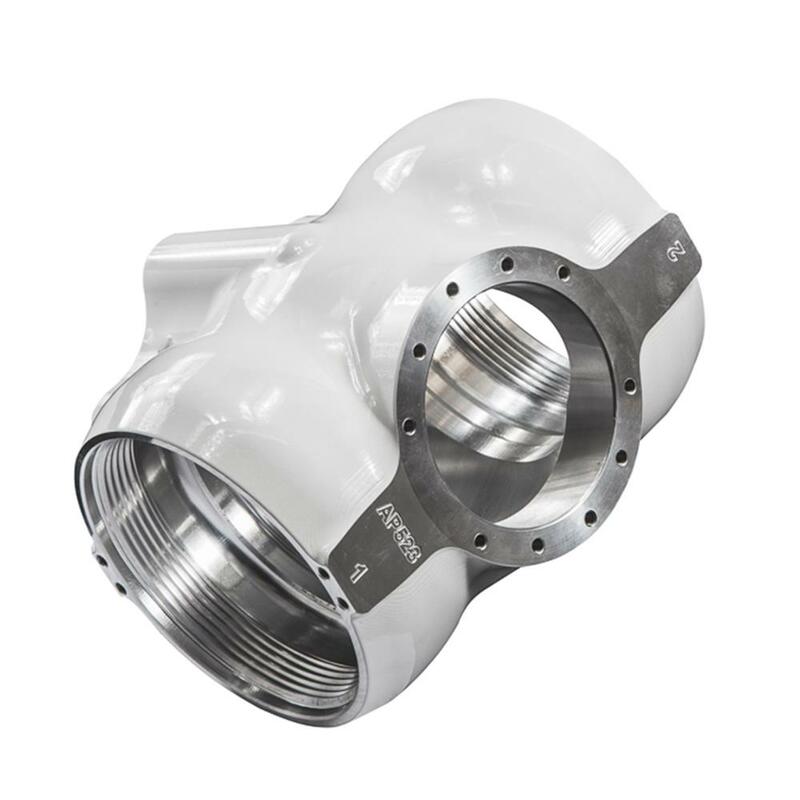 The AH523 is a two blade propeller hub for use on engines utilising the SAE-1 mount. This includes UL, Continental and Lycoming 0 series of engines. It can be configured as clockwise and tractor, with the addition of a feathering facility. It accepts industry standard 2.375in blade shanks. The popularity of the UL, Continental and Lycoming series of engines, combined with the wide range of blades available in the 2.375in shank, allows this hub to perform over a very wide range of applications. Engine Type UL350iS, UL390iS, 0-200, 0-235. Other engines may be suitable, please enquire. 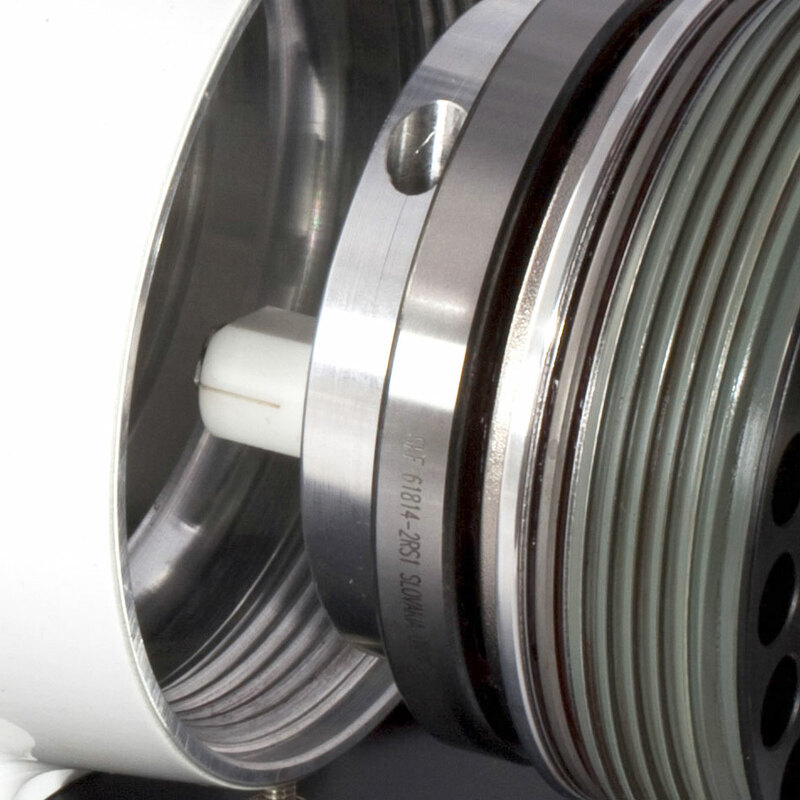 At the heart of each Airmaster propeller is a high quality hub shell. The single piece shell design has many advantages. It is lightweight and strong as it is able to distribute stresses evenly within the hub material. Each hub shell is fully machined inside and is finished in a two pot epoxy paint to give a long life with superior corrosion resistance. 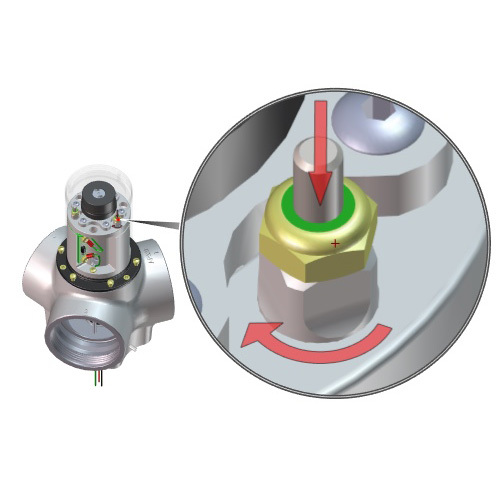 Each Airmaster CS hub is actuated by an ultra precision servo drive, custom made for Airmaster by Maxon motors (Switzerland). These servo drives feature high torque densities allowing a compact design, precision metal gear heads for long life and laser welded stainess steel construction for corrosion resistance. 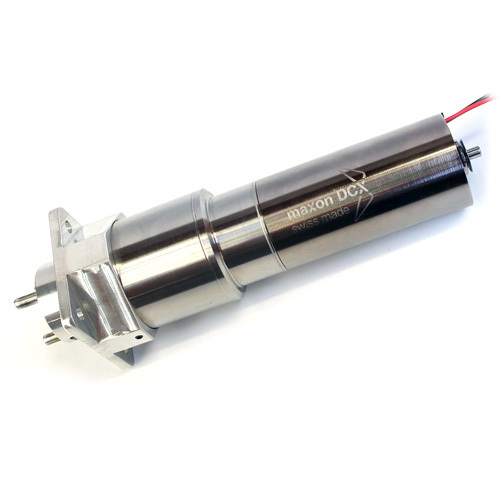 There are simply no higher performing servo drives than these. Each blade is actuated from a precisely aligned central pitch change mechanism. 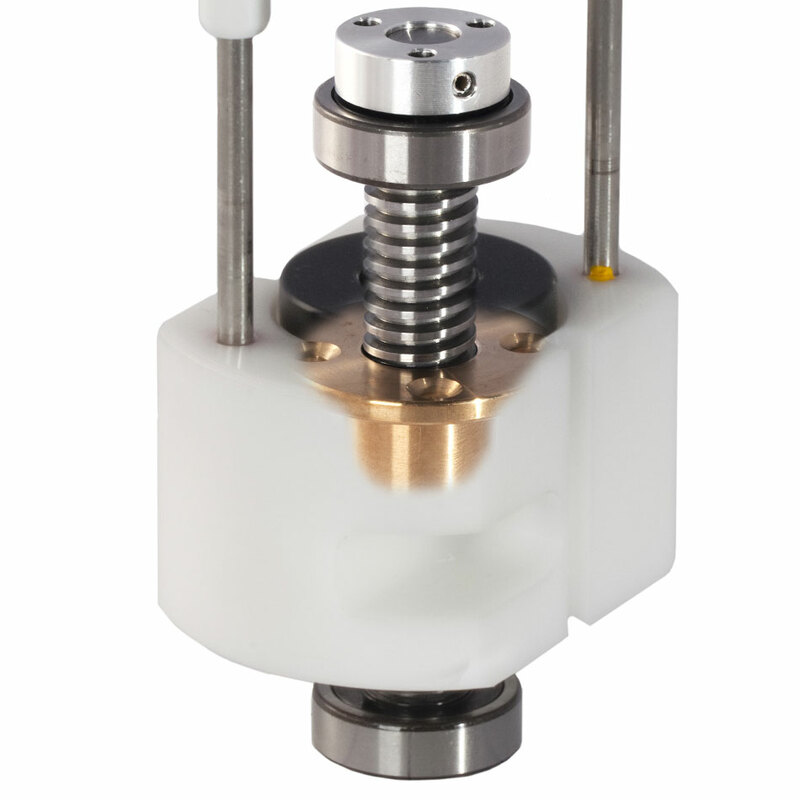 The single assembly incorporates a custom ground acme thread form which is mated to a hard wearing bronze nut. These run in a pair of deep groove ball bearing races providing precise, low friction alignment. The Acetal pitch change block serves to transfer the actuation forces to the blade assemblies but is designed to break away in the event of a ground strike, thereby protecting the more expensive components. The installation and servicing of the propeller is very simple, due to the easily removable blade assemblies. Each assembly contains the bearings required to restrain and align the blade, the ferrule which is used to securely clamp the blade and the retention nut used to hold the assembly into the hub. An adjustable cam pin on each blade assembly allows for precise pitch adjustment and minimal pitch error. 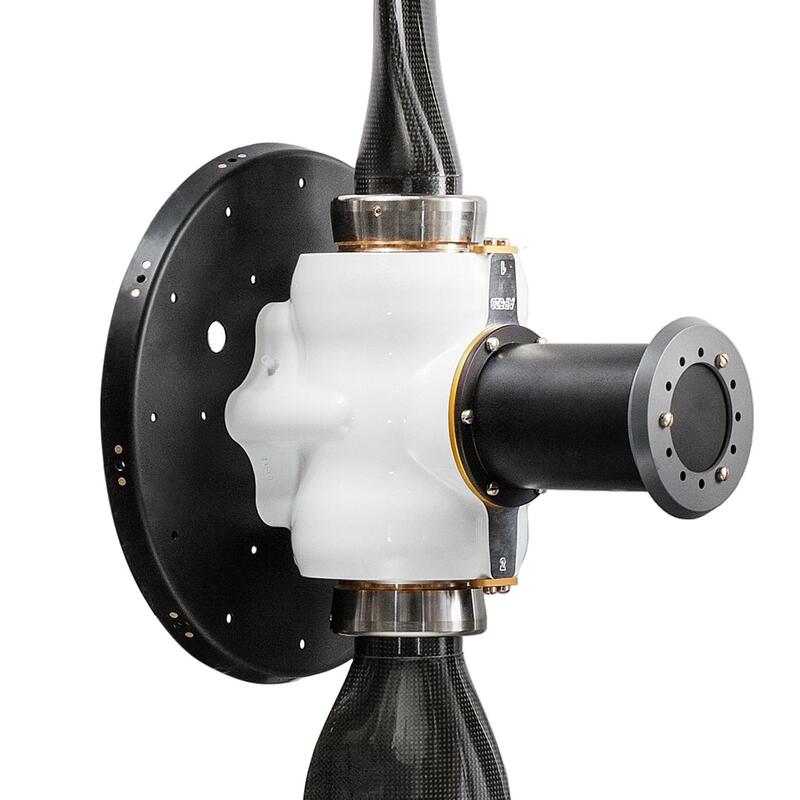 Airmaster propeller hubs are very versatile and get used in a wide variety of applications. To cope with this we have provided adjustments on each of the pitch stops associated with Fine, Coarse and Feather/Reverse limits. These are very easy to adjust to make sure each propeller is set up for your specific engine and environmental conditions.